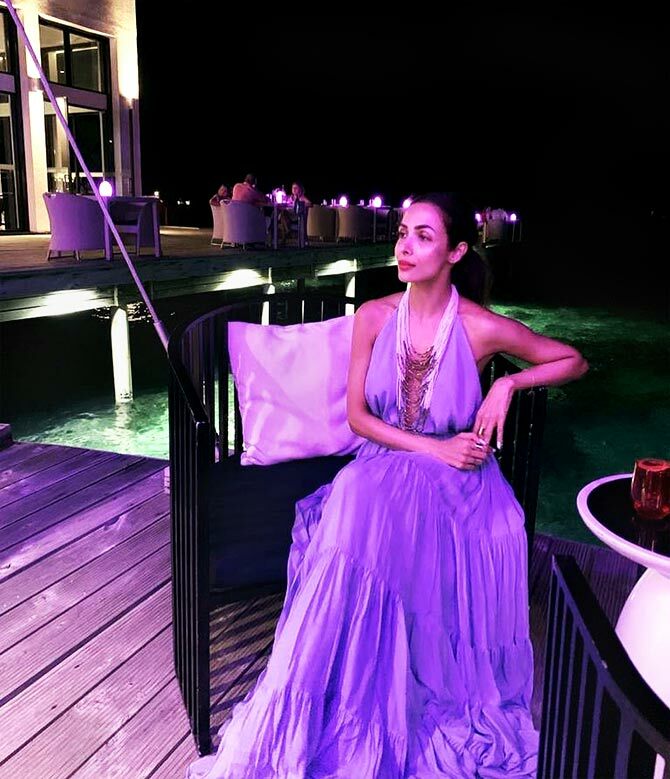 Like *everyone* in Bollywood, Malaika Arora seems to love the Maldives. The locale makes for much relaxation and such fantastic pictures! Malaika gets flirty on the beach. Malaika shows off her best profile. Malaika shows us the perfect way she likes to begin her day. With a pool like that, it makes good sense! The perfect setting for a romantic meal. Blue skies and cool waters make Malaika's day. Malaika welcomes Monday with a headstand. This is how she likes to keep fit. 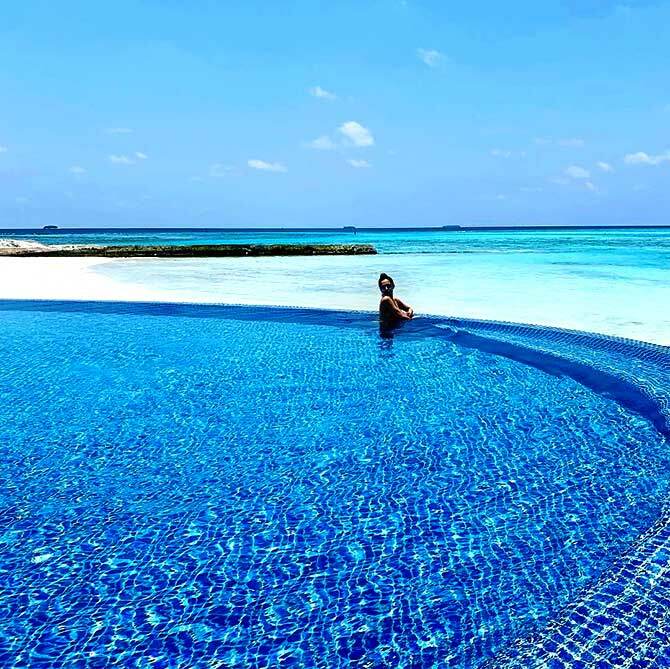 Malaika says goodbye to the Maldives with the perfect shot. What happens when Malaika goes on a spa holiday?